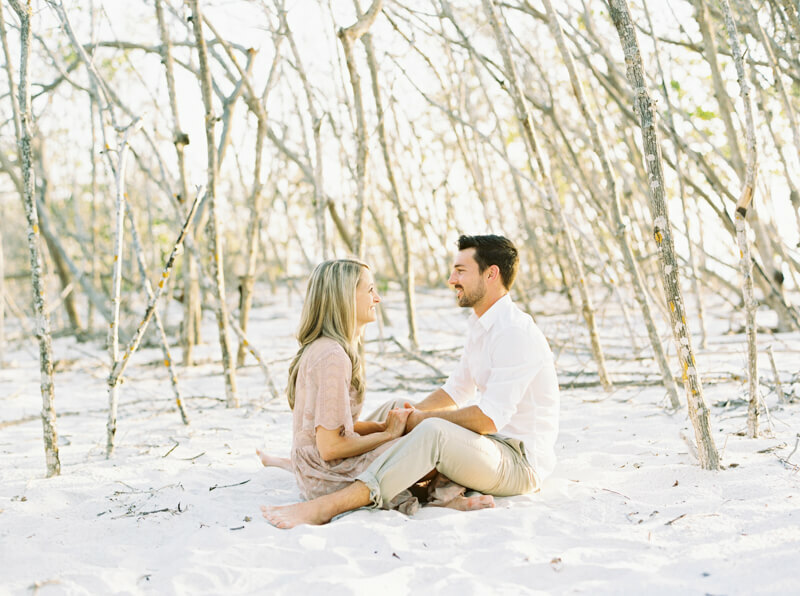 This engagement session in Longboat Key, Florida, is like taking an adventure “through paradise.” One must walk through a beautiful path of trees to get to the end where a white sandy beach awaits. That’s where we find Cara and James, ready to commemorate their engagement and celebrate their love by the water. The bride-to-be wears a perfect beach ensemble consisting of a white and floral sundress, while the groom sports a denim button-down shirt and khaki shorts. 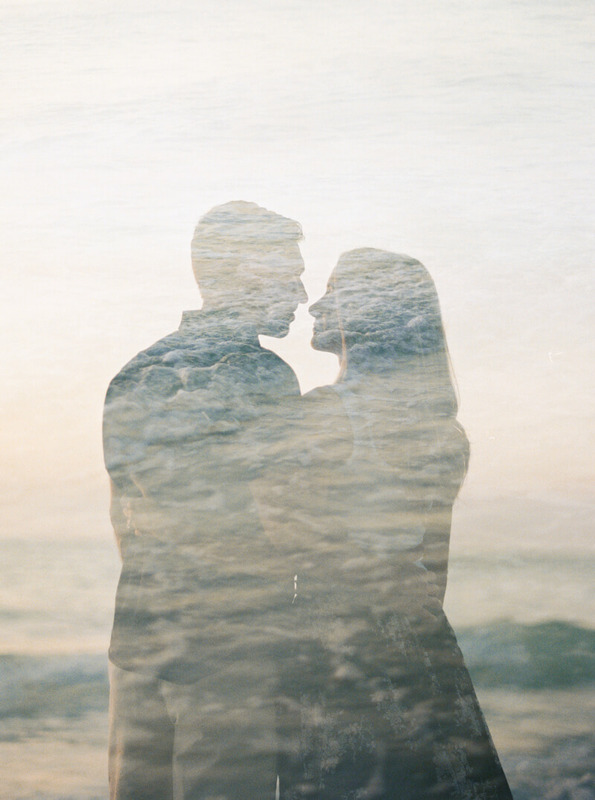 The photographer manages a gorgeous double-exposure showing both their silhouettes and the rippling water. They waste no time playing in the surf, splashing their ankles, and exploring the beached trees that lay idle on the sand. The second half of the session features the bride in a lovely blush pink dress and the groom in a classic button-down and khaki combination. They are both content and contemplative as they take in the scenery of Longboat Key before disappearing into the trees. The photographer captures a classic engagement ring shot as the couple holds hands on the beach amid the shade of the slim trees. Cara and James aren’t shy about showing their affection for one another. After all, that’s what you do when you’re in love! They step out towards the water once more and toast one another with glasses of wine under the late afternoon sun, soaking up the quiet lapping of the waves behind them. It’s easy to see why Cara and James chose this spot at Longboat Key for their engagement session: it’s relaxing, it’s beautiful and it’s the type of place where they can just be themselves. The secluded, pristine beach allowed them to not just take some necessary photographs leading up the wedding; it provided a memorable experience to honor and celebrate a truly special thing in life.